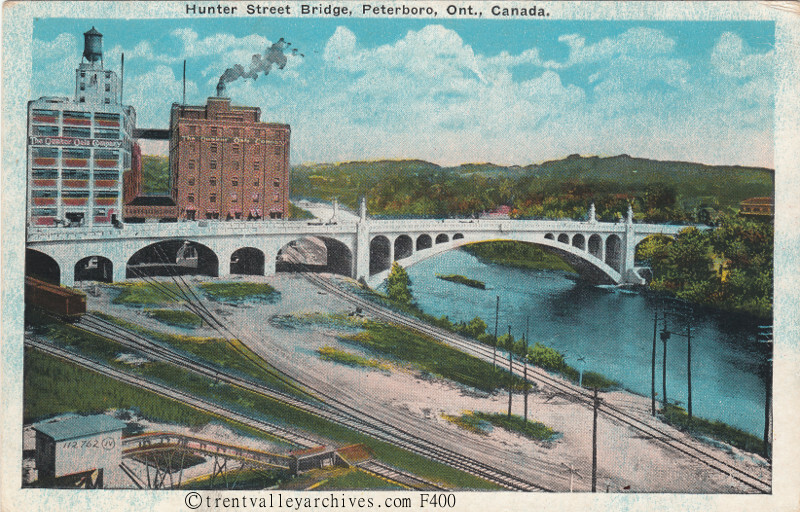 The Quaker plant on the shores of the Otonabee River doesn’t just smell great with its wonderful aromas that emanate throughout East City and the downtown on many days depending on the wind’s direction. It also has a storied history, having been first established on the shores of the Otonabee in 1902 (it was rebuilt after the devastating fire of 1916). 1. 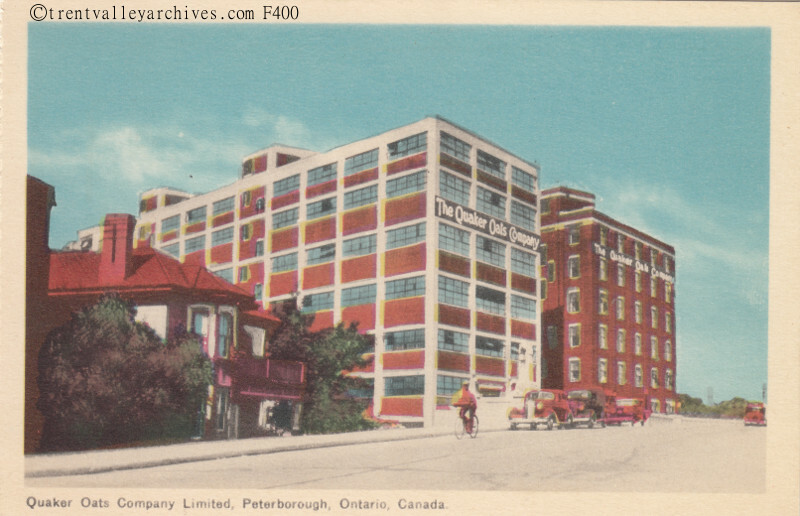 The day the plant opened for business to begin hiring back in 1900, there were lineups at the door of the hiring office and a huge shortage of sales clerks in the downtown stores—they had flocked to Quaker for the better wages. 2. The plant had a huge steam whistle that for years called everyone to work at 8 a.m., for lunch at 12 noon, back to work at 1 p.m., and then signal the end of the work day at 5 p.m. It also was used to signal the start and end of the two minutes of silence on Remembrance day. 4. The occasional burnt smell will alert employees—and the rest of us who smell it—that something hasn’t gone quite right. 5. It takes an area of about 100 square miles to grow the oats to run the plant for a year. 6. It would take a hopper car train 11 miles long to bring the oats to the plant. ﻿7. When it was still a flour mill (until the 1960s), flour for Africa was packed in a special flour sack of a particular shade of blue and was the right width and length to be cut into a pair of men’s pants. The blue was a favourite of the area where the flour was sold. 8. Muffet shredded wheat has been a favourite for a hundred years. The box board dividers that separated the layers of muffets in each box was a staple in most houses for recipes, grocery lists and notes. 9. Quaker at one time sponsored Sergeant Preston of the Yukon, a radio and early TV program about a Mountie in the Yukon. A premium was given away that provided one square inch of land in the Yukon to the redeemer. Some folks assembled thousands of coupons to actually claim the land but were refused when they could not prove title to adjoining squares. 10. Quaker packed rolled oats in calico bags up until the 1980s to be sold at Hudson Bay trading posts in the far north. The labels could be removed and the cloth used for curtains and other purposes. 11. During the Second World War, when so many were away with the armed forces, the city jail just up the hill from the plant would become a source of labour, with prisoners being sent to work each day and returned to the cells each night. 12. 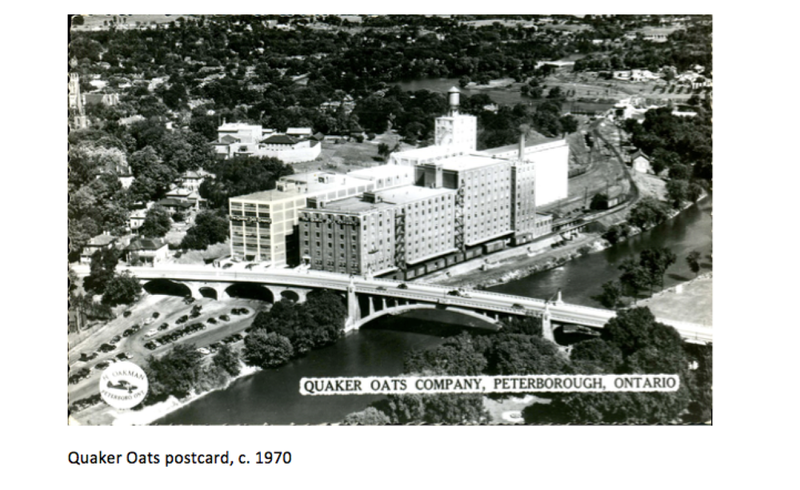 At one time, the great grandson of the founder of Quaker worked at the plant. He had the first $.25 shinplaster that the company had ever earned. 13. The father, uncle and sister of the hockey legend Bob Gainey all worked at the Peterborough Plant. 14. Bill Plager of NHL fame worked at the plant. 15. At one time it was possible to collect sets of china for home use, the china having been packed in boxes of rolled oats.